Certainly, there are situations when the use of authority, or “position power”, correctly applied, has a place in the application of modern leadership principles. I contend however, the use of authority, which comes with a person’s job title, can make for lazy and ineffective leaders. It is after all, so much easier to issue commands and bark orders, than to thoughtfully figure out what makes an individual tick, shape a culture where action is valued, and to lead effectively with values, vision, inspiration and a sense of hope for a better future. If you spend any time at all in grocery stores, you know conversations like this happen frequently. If you followed this trio around the store, I’m willing to wager this dad had similar conversations in the bakery, candy aisle, ice cream aisle and again at the cash register. As parents, we do get tired and worn down from constant whining, and after a while, we may resort to what seems to be easiest at the moment. We play the “parent card”. We use our authority and “position power” as parents. I submit this same phenomenon happens in our workplaces. As leaders, we get tired and worn down and all too frequently resort to our authority as the “default” approach. This is perhaps a topic for another day; “It is in those stressful moments, when we need to be at our very best as parents, spouses, managers and leaders, that we tend to be at our worst.” We simply get tired and do what seems easier… yet in the long run, this mistake tends to make our families less loving and our organizations less effective. 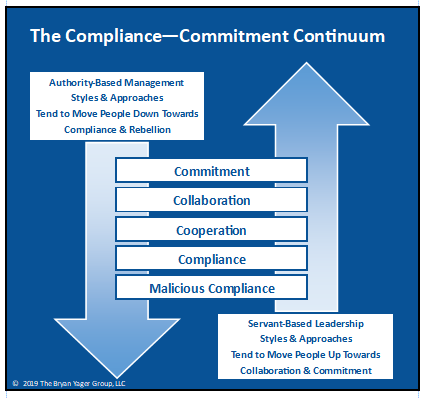 Our authority may get the compliance we desire in the short term, but we will likely lose long-term commitment from others in the process. An over-reliance on authority may also result in significant relational costs as well. When we abuse, or over-use our authority, we will eventually lose respect, or perhaps even lose the relationship. Great parents and truly great leaders desire more than mere compliance from their children and work associates respectively. I suggest our goal should be to seek a commitment to shared values, accomplishments and success. Occasionally, I’m asked to provide management & leadership skills training for volunteer, non-profit organizations. I love doing that kind of work; it is one of the ways I’m able to “give back” in my community. However, I often feel like leaders from volunteer organizations should be teaching leadership skills in the “for profit world”. While volunteer organizations can certainly learn a great deal from “for profit” organizations, the opposite is true as well. How would you lead differently, if every person on your team were a volunteer? Here’s the thing; all employees are volunteers, at least in part; they volunteer what can’t be managed including their discretionary effort, the “above and beyond” that simply cannot be managed. While we might be able to “manage” the hands, backs and behinds of our employees, they “volunteer” their heads, hearts and spirits. We can’t manage the most important aspects of what employees bring to work every day; they volunteer those discretionary aspects because of who they are as people, because they have the internal desire, and/or, because of who we are as leaders and the way we lead. 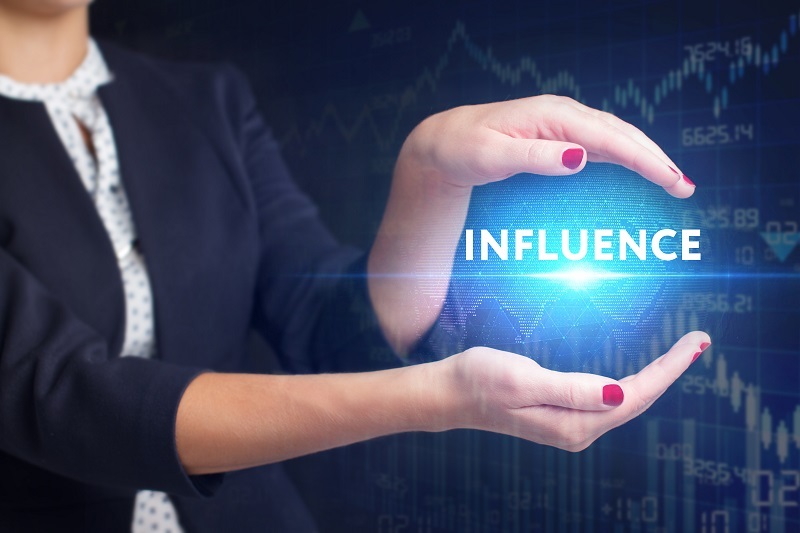 In the long run, our ability to influence others is far more important than an over-reliance on our title, authority and position power. Think influence and servant leadership, authority only when necessary. How will you lead the volunteers on your team differently, or better, this coming week? Click here to sign up for my weekly leadership message entitled Monday Morning Minute.